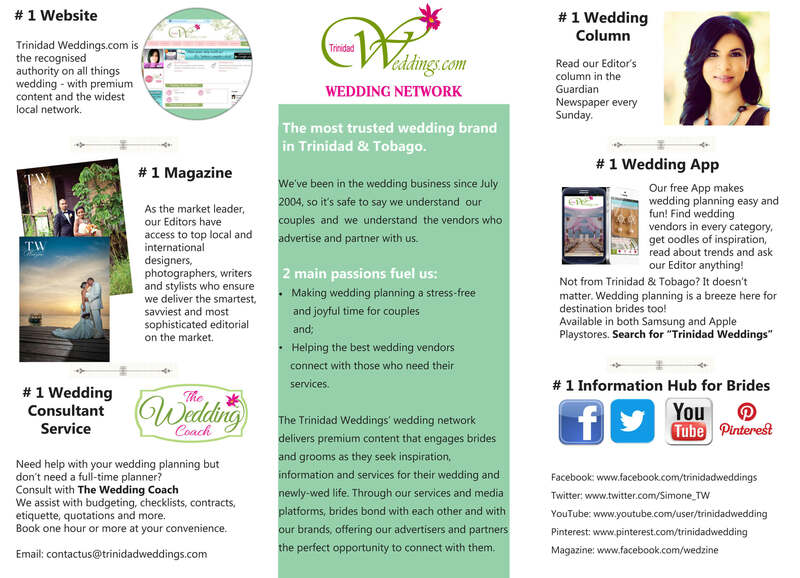 Trinidad Weddings.com (TW) was the first wedding website to be launched in Trinidad and Tobago. We are a resource for engaged couples and for those planning a destination wedding to Trinidad & Tobago. We also provide marketing and promotion support to suppliers in the wedding and event industry. 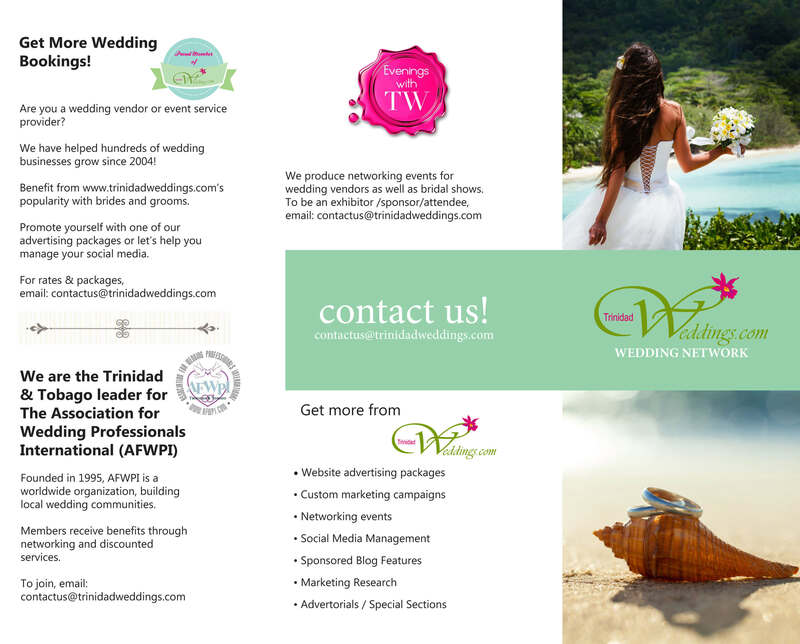 At Trinidad Weddings, we are in the business of offering all-encompassing solutions for brides, grooms and newly-weds by ensuring they receive quality information and by matching their needs to a range of available suppliers. The services that couples receive is a mixture of our experience, the knowledge we have through our contacts in the wedding industry and our sincere desire to help our visitors have the best wedding planning experience possible. Our philosophy also extends to the wider community. In light of the fact that women are largely the reason for our site’s existence, we believe it is our duty to support charities geared towards women and children. This is why part proceeds of every event we host, is donated to a local charity in need. It is our hope that as you browse our site, read our magazine or attend one of our events, you feel as though you’ve become part of the TW family! Click the thumbnails to download our brochure.